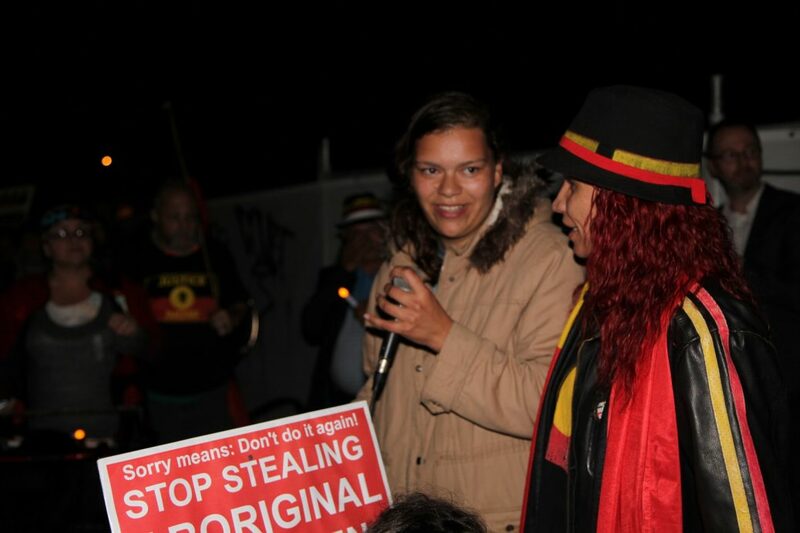 Friday the 26th May, a rally took place for Sorry Day in Victoria Park, Broadway, Sydney. 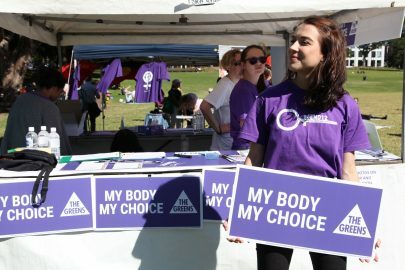 Along with similar rallies, participants at the event called for changes to state child-protection, which organisers said were responsible for an ‘ongoing Stolen Generation’. 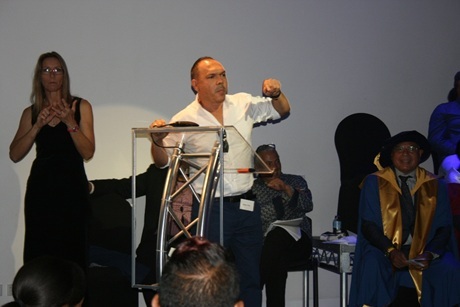 Sorry Day paid tribute to the Stolen Generations and their families and commemorated the 20th anniversary of the Bringing Them Home Report. Hundreds attended the day and speakers included Dylan Voller’s sister (pictured above), who read a poem she wrote and thanked everyone for supporting her brother’s release and Lizzy Jarrett, organiser of the rally.